Crux 6-Qt. 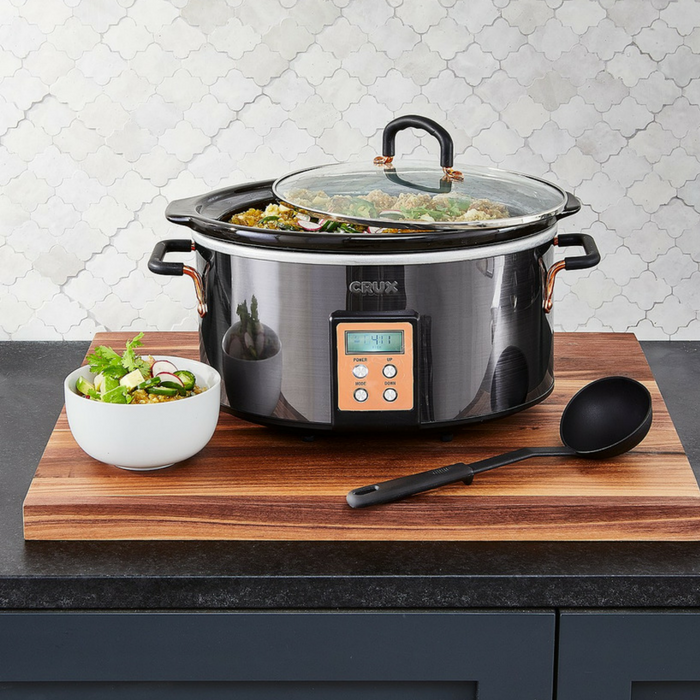 Slow Cooker Just $29.93! Down From $75! You are here: Home / Instagram / Crux 6-Qt. Slow Cooker Just $29.93! Down From $75! Set it and forget it with this Crux slow cooker, with a 6-quart capacity that’s big enough for a hungry family. The digital timer lets you select anywhere from 30 minutes to 20 hours, and the cooker automatically switches to warm to keep dinner ready if work runs late.